Modesto? Who would of thought that Rockabilly originated in the valley? 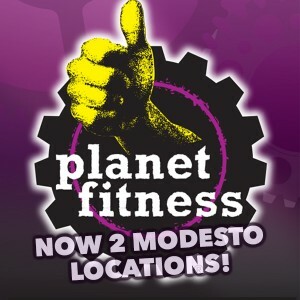 Many would argue that it was right here in Modesto, CA in the mid to late thirties. After being unsuccessful with sharecropping during the early Depression, the Maddux family hitch-hiked from Boaz, Alabama to California to get in to the music business in 1933. The band members consisted of (Fred, Cal, Cliff and Don) and one sister, Rose. After settling in Modesto, and honing their musical talents, they first performed on the radio in 1939. The Maddux Brothers and Rose very quickly became California’s best hillbilly band. In those days, the band was considered hillbilly, not country. “There was no rock n’ roll in those early days, before 1955. Only country-boogie. My brothers also played that way. We called it country then,” said Rose Maddux. They were the beginning sounds of rock with a hillbilly background, mixed with an authentic sound and risqué lyrics. Fred Maddux played the upright bass. The trademark “slap bass” technique was used by him as early as 1937. Rose Maddux was known for her very signature style of singing. “Nowadays, all the girl singers sound alike. I sounded like nobody else, and I guess that’s why I was so distinctive,” said Rose. By 1951, the band had recorded for Four Star and Columbia Records. From 1953-1955, the band was playing packed places every weeknight while on tour across the country. They played shows with Elvis Presley and became part of a movement in musical history that has influenced many of today’s famous as well as local musicians. 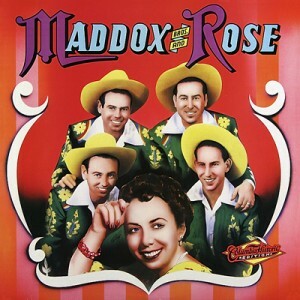 By 1955, the rockabilly scene was in full bloom and the Maddox Brothers and Rose had already been paving the way for nearly 20 years right here in Modesto. Thanks to their musical influence, mixed with the western swing, boogie woogie, and rhythm and blues style of the 50’s and 60’s, today we enjoy bands that still sing true to that era. For example, Stray Cats, Reverend Horton Heat and local bands like The Refuzniks and The Pendeltons.